408 p., 18 ill. (6 colored), 1 Klapptafel, 14,7 x 20,8 cm. With contributions by Thomas Aichhorn, Wolfgang Bartelke, Joachim F. Danckwardt, Claudia Frank, Günter Gödde, Peter Härtling, Oonagh Hayes, Ludger M. Hermanns, Albrecht Hirschmüller, Jens Kolata, Richard Kühl, Katrin Esther Lörch-Merkle, Ulrike May, Thomas Müller, Pia Daniela Schmücker, Heinz Schott, Michael Schröter, Christfried Tögel, Henning Tümmers and Johannes Michael Wischnath. 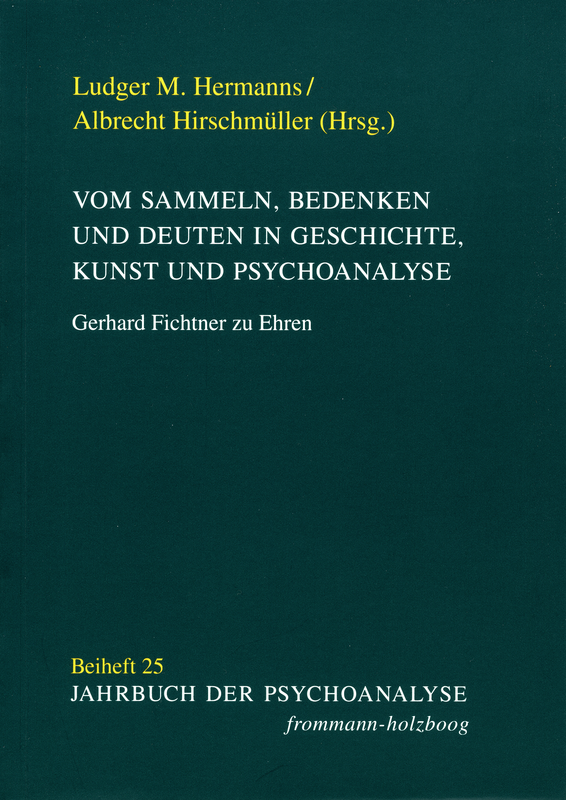 This commemorative volume for Gerhard Fichtner, a Tübingen historian of medicine and psychoanalysis who died in 2012, contains diverse scholarly articles, published here for the first time, by colleagues, friends and students who trace the history of medicine and the history of psychoanalysis. The volume contains a biographical appraisal, personal memories by Peter Härtling and Wolfgang Bartelke, a personal bibliography of Gerhard Fichtner as well as a woodblock by HAP Grieshabers printed from the original.